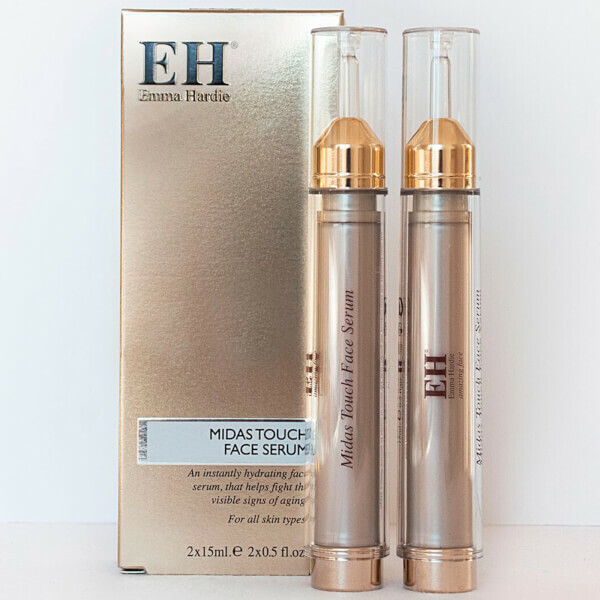 Rediscover youthful luminosity with Emma Hardie Midas Touch Face Serum, an anti-ageing serum that instantly hydrates skin and targets signs of ageing to promote a smoother, younger-looking complexion. Formulated with a cocktail of beneficial ingredients, the super-serum melts effortlessly into skin, delivering firming, smoothing and moisturising properties. Edelweiss Miristem Cell Culture helps to reduce the look of fine lines and wrinkles while Avocado Peptides encourage collagen production. 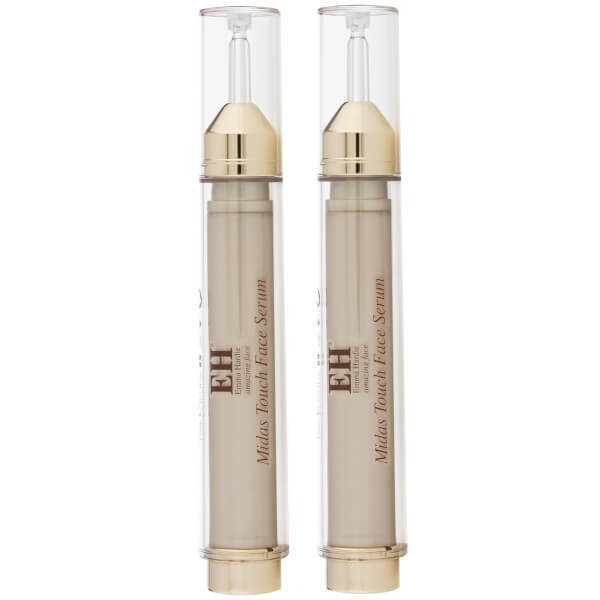 Its blend of Hyaluronic Acid and Moisture-bonding Glycoprotein properties plump and hydrate, while extract of Vivillume from Wild Banana Seed improves the appearance of volume and tone. Dispense a pea sized amount of product and press into cleansed skin morning and evening. 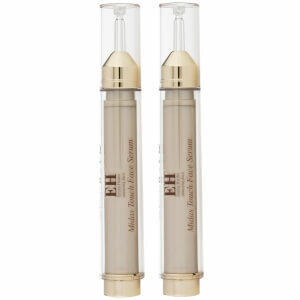 The serum can be re-applied to areas in need of TLC or ideal to replace as a moisturiser for oily skin. Aqua (Water), Caprylic/Capric Triglyceride, Diheptyl Succinate, Glycerin, Moringa Oleifera Seed Oil, Phenoxyethanol, Parfum (Fragrance), Sodium Polyacrylate, Mica, Sodium Benzoate, Sclerotium Gum, Strelitzia Nicolai Seed Aril Extract, Capryloyl Glycerin/Sebacic Acid Copolymer, Xanthan Gum, Disodium Edta, Leontopodium Alpinum Meristem Cell Culture, Geraniol, Limonene, Faex (Yeast) Extract, Citronellol, Aloe Barbadensis Leaf Juice, Hydrolyzed Hyaluronic Acid, Hydrolyzed Pepper Fruit Extract, Linalool, Salicornia Herbacea Extract, Ethylhexylglycerin, Citral, Tocopherol, Farnesol, Citric Acid, Potassium Sorbate, Ci 77891 (Titanium Dioxide).